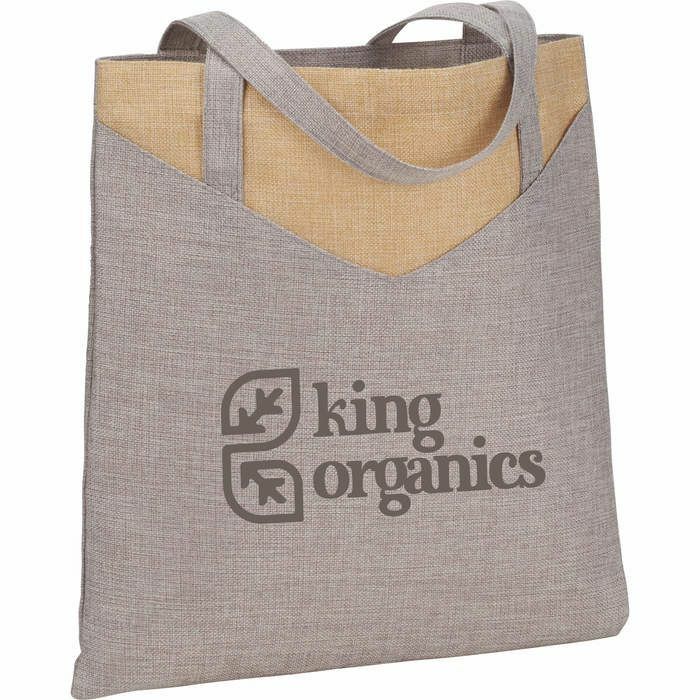 The Kai Convention Tote is made from soft poly-weave material with a modern look. This tote features a large open main compartment and an open front slash pocket. Imprint Area Per side 7.00" H x 8.00" W.